“…one man’s saint is another man’s heretic." 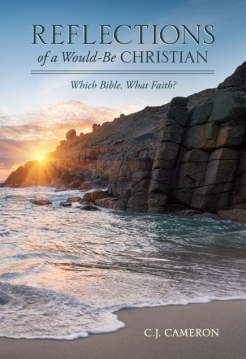 This brief collection of essays is addressed to any who find themselves weary of being told what and how to believe by those who claim a monopoly on the truth regarding Christianity, a faith which is currently fragmented into literally hundreds of different denominational renderings. It is the author’s contention that this situation presents both a challenge and an opportunity to the 21st century would-be disciple of Jesus. The challenge is to rise above all the disrupting ecclesiastical and denominational clamor, and within the Gospels to personally encounter for oneself the “…still small voice…” that Elijah encountered within the tempest, earthquake and fire of 1st Kings 19:12. The opportunity is to then follow that encounter wherever it may lead.